The Education System in the Republic of Cyprus has four stages: pre-primary, primary, secondary and higher/tertiary. Public nursery schools operate under the authority of the Ministry of Education and Culture, working in collaboration with parents’ associations and community authorities. All teachers are qualified, while the teachers’ aids must have completed secondary schooling. Communal nursery schools are run by parents’ associations or community authorities and are registered by the Ministry of Education and Culture. Private nursery schools are privately established and owned however they are all approved by Ministry of Education and Culture and operate according to the Private Schools’ Law, 1971, of the Republic of Cyprus. A child’s vaccination certificate should be given to the relevant school when a child is enrolled for primary school. New residents should take records of child’s health and vaccination (UK families show the “red book”) to the health visitor at the general hospital who will then provide a Cypriot vaccination certificate and advice on any other vaccinations needed. Vaccinations are only advised by schools and are not compulsory unless an epidemic of a particular illness such as measles occurs. Primary education is compulsory in Cyprus, and free at state schools administered by the Government. Education at private schools is not free and fees vary from school to school (enquire from the schools directly). The Primary education is a six-year period. Children may enter the Primary School system from the age of 5 years and 8 months. Any town or village with more than 15 children of school going age will have a primary school (children from villages with fewer than 15 will be accepted in the regional school for a neighbouring community). When primary school is completed a child will receive a leaving certificate. There are no completion examinations and readiness to proceed to Secondary school is assessed by on-going evaluations throughout the learning period. A child cannot continue on to Secondary school without a leaving certificate. The Cyprus school day ends at lunchtime. State schools are increasing facilities for multi-cultural education with the aim of providing better support for foreign pupils, particularly with regards to learning Greek as a second language. A child cannot enter secondary school without a leaving certificate showing completion of primary education. The secondary school period is six-years and is for children from age 12 to 18. The first three years are compulsory, with school leaving permitted after the fifteenth birthday. There are no entrance examinations for a child moving from a state owned primary school however, school-goers who have completed primary school at a private foreign-language institution must undergo a series of entrance examinations to be allowed to attend Cypriot public secondary schools. State run secondary schools are co-educational. The school day runs from 7:30 to 13:35. The school week is a five-day week, Monday to Friday, usually broken into seven periods of 45 minutes each. Examinations take place in June. The school year is broken into three trimesters: September to December, December to March and March to May. A child cannot continue to the next level without passing examinations. This is a period of general education for ages 12 to 15. Much attention is given to vocational guidance in the last year of the Lower cycle and career guidance is available throughout the Lykeio Cycle from counsellors assigned to the role at each school. They also act to monitor students with emotional problems and pupils from dysfunctional families. The Lykeio Cycle comprises two types of schools: the Eniaio Lykeio and Technical and Vocational Schools. Admission is available to pupils who have completed and passed the Gymnasio Cycle. The curriculum diversifies at this point into three distinct programme curricula, all leading to a school leaving certificate (Apolytition). The final examinations for the third and final year are organised externally from each school. Papers are marked by teachers from schools other than where they teach – they do not mark their own pupils papers. After completion of compulsory secondary education – the Gymnasio Cycle – a pupil can continue with a three-year technical education (STVE) provided they have a leaving certificate. Both the technical (a focus on the sciences) and vocational (a focus on technology, industry and workshop training) educations look at the theoretical and practical aspects of the subjects. Successful completion of secondary technical or vocational education allows a graduate to attend a tertiary institution. Private schools are not free of charge. Private international schools have considerable independence from the state system in both their operations and the curricula offered. The majority of private schools, however, are registered with the Ministry of Education and Culture and comply with certain curriculum and facility requirements mandated by law. Most schools will require a child to attend an interview and/or take an entrance test for their level to be assessed before admission. Teaching at most Cyprus international schools is in English, however most will have ESL (English as a Second Language) teachers to help children from non English-language countries. International school curricula tend to accommodate the teaching levels of their representative country. Laws in Cyprus specifically accommodate special-needs children. The acts are: Education and Training of Children with Special Needs Law 1999 (113(I)/1999), Mechanisms for Early Detection of Children with Special Needs (185(I)2001) and Regulations for Education and Training of Children with Special Needs (186 (I)2001). The purpose being to detect problems as early as possible and accommodate the child’s learning in the most appropriate way available. The government provides special-needs facilities for children from the age of 3 to 18 (and 21 on application). Special-needs children are accepted into the regular school system to aid integration and provide support. Children with greater needs receive extra after school education with special needs teachers assigned to a school. Hearing-impaired and autistic children are accepted to pre-primary schools with special facilities and may attend on a part-time basis. There are special schools for children with severe physical, mental or emotional needs, although the education authorities do try to encourage interaction between such schools and children in the regular system. The New Hope Special School is a private school for children with learning difficulties and is fully recognised by the Ministry of Education and Culture in Cyprus. 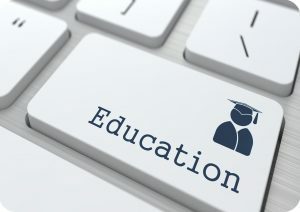 Higher education is available in Cyprus at state owned institutions (The Cyprus University) and private third-level institutions.